Woolf Works Where Are We? This is a moving meditation so be in comfortable clothing and bring along a yoga mat. Many of the ills of modern life stem from heightened stress levels that effects our bodies’ immune response – creating imbalances. Yoga and meditation techniques are used to both restore and enhance the body’s ability to heal itself. Come along to this session for a taste of cyclic meditation! Cyclic meditation is a practice that alternates stimulation and relaxation to take your body and mind into progressively deeper rest. Discover the connections between your mind and body, as we are guided in simple yoga postures designed to stimulate our senses and prepare us for deeper layers of silence and relaxation. 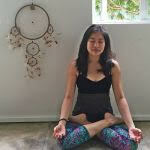 Shu Ting is a freelance yoga instructor as well as a trained yoga therapist working with Union Yoga Ayurveda. 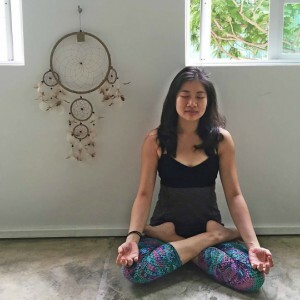 She works closely with patients, using yoga therapy, ayurvedic medicine (under the guidance of Dr Satyam Tripathi) and meditation techniques that are extensively researched and proven effective against different ailments. The featured image is borrowed and edited, with thanks, from luckey_sun under a Creative Commons licence.